Jim Clavin is Hilltop’s chief technology and compliance officer, leading the development of Hilltop’s vision for technologic innovation and translating that vision into strategic priorities and work plans. In this role he strives to solidify Hilltop’s standing as a leading data-driven state health policy research organization. 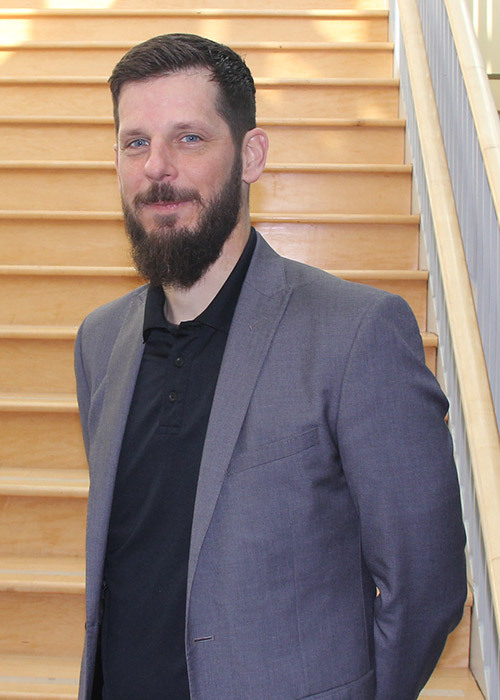 He is responsible for developing and carrying out a process for assessing Hilltop’s data management needs in consultation with Hilltop senior management, staff, clients, and UMBC administration. Jim also ensures Hilltop’s compliance with HIPAA and other regulatory requirements related to data management and security. Prior to joining Hilltop, Jim was executive director of information technology at the Catholic University of America, where he developed a comprehensive IT program focused on IT modernization, business process improvement, data analytics, and integration; served as a strategic leader responsible for CRM product suite, data analytics and reporting infrastructure and operations, platform integration with Enterprise IT, vendor contract management, and change management; and recommended, implemented, and supported software and hardware solutions aligned with division IT needs and goals. Before that he was senior technical director of business services at Johns Hopkins University. He also has experience at Hopkins as director of IT architecture and strategy, manager of IT analytics & operations, and senior automation developer. Jim has an MBA from the University of Baltimore, a BS from UNC-Wilmington, and a BA from UNC-Chapel Hill. He is currently pursuing an MS in computer science from Johns Hopkins University.